There you will find links to online St. Louis and Missouri death indexes, obituary indexes for the St. Louis Post-Dispatch, some cemetery burial indexes, a St. Louis Coroner's index, ordering information for Missouri death certificates, and more. October 2008 is the tenth anniversary of my German Roots: German Genealogy Resources website. It started off with just a handful of pages and now it has, oh I don't know, a whole lot of pages. The website is now at www.germanroots.com which is easier to remember than the name of my dog, I suppose. Online Searchable Death Records Indexes and Obituaries for the USA, which was originally a single webpage on the German Roots website. Online Military Indexes and Records, also originally a single webpage on the German Roots website. Genealogy Articles, Tips and Research Guides, which is where I put more general genealogy stuff. So here's to a very interesting ten years of German Roots. Thanks to all the people who have offered suggestions and comments and constructive criticism. Everyone gets a symbolic cyber German beer! Prost! - Tennessee Death Index 1949-2005 (not complete) "Partial Indexes from 1949-2005"
Yesterday I went with my mom to see the movie Mamma Mia!. I am such a good son, taking my mother to see this completely ridiculous campy musical extravaganza. I also saw the Broadway musical version last year with my mom and two other friends. And now I'm going to admit that I'm an Abba fan. I've liked them since I was a young sprog and they were still together making records. And all married to each other. 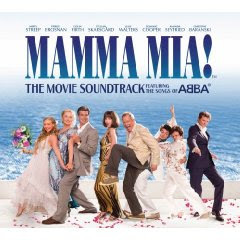 And I honestly thought I would hate Mamma Mia!. But I admit I liked the thing. It's just so silly and uplifting and fun. And it's filled with Abba songs. Tons of them. The movie is just about as much fun as the stage musical. And Meryl Streep looks like she's having a blast throughout. All right now back to some real genealogy. Everyone go click on some links over on the right side. This list was updated on 29 March 2019. Here is a list of some collections of online digitized death certificates, death records or death ledgers. Some are free, some fee-based. Note that some death certificate images at these websites may be unavailable because of errors or other reasons. And some of the databases listed here may be incomplete. California: County Birth and Death Records, 1800-1994 from FamilySearch (partial) (free) These are browsable scanned birth and death registers or certificates for various California counties (plus some cities and towns). Not all cities and counties are included and coverage varies. The database does have some digitized death certificates for Los Angeles County, c.1905-c.1963 (plus some as far back as 1889); and San Joaquin County, 1905-c.1960s. There are also some digitized birth certificates or registers for some counties (coverage varies). There is currently a searchable name index for the cities of Stockton, Lodi, and Manteca, and the counties of Los Angeles, San Benito, and San Joaquin. The name index may not be complete. There are also browsable images of indexes included in some volumes. You might also find it helpful to search one of the online California death indexes listed here: Online California Death Records and Indexes. Ancestry has Nevada Death Records from 1911-1965 with digitized copies of the death certificates (fee-based). Ancestry has scanned Pennsylvania Death Certificates (indexed) for 1906-1966 (fee-based). Ancestry has a fee-based Virginia Death Certificates Index for June 1912-2014 with online death certificate images from June 1912 to 1991 (fee-based). Happy Birthday, Genealogy Roots Blog! Oops! While I wasn't paying attention, the Genealogy Roots Blog quietly turned 2. Yesterday was the blog's second anniversary. My first post, about the Missouri Death Certificates Index, was on April 18, 2006. So a humble and slightly late happy birthday to the Genealogy Roots Blog. A big thank you to everyone who reads this. Also, we have some new subscribers who are coming over from the old Genealogy Roots Newsletter, which is being shut down and replaced by this blog. The newsletter that inspired this blog goes back to 2001. So welcome new subscribers. Thanks for dropping by. Hello to Randy Seaver and Megan Smolenyak, who also started genealogy blogging in April 2006. A shoebox full of letters and other items relating to the family of Lillian Asplund, was found after her death and will be auctioned off later this month. Lillian Asplund was the last American survivor of the Titanic when she died in 2006. She was also the last survivor who was old enough to remember the events. There is presently only one living Titanic survivor, Millvina Dean of Southampton, England, who was a two-month-old baby at the time of the Titanic tragedy. On April 10, 1912 Carl Asplund bought seven third class tickets for the Titanic's first trip from Southampton, England to New York City. The tickets were for himself, his wife Selma (then aged 38), and their five children: Filip (13), Clarence (9), twins Lillian and Carl (both 5), and Felix (3). Of the seven family members only three survived the Titanic's sinking: Selma, who died in 1964, Felix, who died in 1983, and Lillian, who died in 2006. The two surviving children, Lillian and Felix, never married and neither had children. The image above is a portion of the Carpathia passenger list showing the three surviving members of the Asplund family. The Carpathia rescued 705 of the Titanic's survivors and brought them to New York on April 18, 1912. See: Partial List of Survivors of the Titanic who were taken aboard the Carpathia at the U.S. National Archives website. For more on ship passenger lists see: What Passenger Lists are Online? The Missouri State Archives now has searchable images of digitized Missouri death certificates from 1910-1957 available online for free downloading. This has been an ongoing project for them. The years 1940-1944 and 1957 were recently added to this collection. It's nice to see this database available online for genealogy research. These 3 databases index records of more than 5 million immigrant passengers who arrived in the U.S. from Germany, Italy and the Russian Empire for the time frames listed above. Most of the arrivals are for the port of New York, but other ports such as Baltimore, Boston, New Orleans and Philadelphia may also be included. Coverage varies by series. Be aware there may be transcription errors and missing information in these databases. This list was updated on 28 January 2010.